Today, tastes in honeymoons come in all flavours. Floating on a sun drenched golden isle in an aquamarine ocean may not be for everyone. So, if your keywords are ‘off the beaten track’, ‘something unusual’, ‘unexpected’ and ‘out of the ordinary’, then you could do worse than investigate South Australia. This most underrated of Australia’s states ticks all these boxes and more. 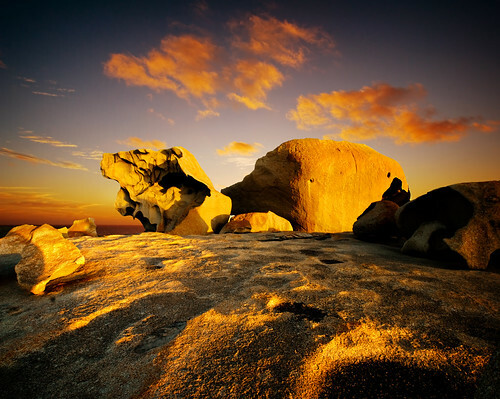 Asking why it’s called Kangaroo Island is a little like asking ‘Who wrote Beethoven’s Fifth Symphony?’ No prizes then. In fact this, Australia’s third largest island, could just as easily have been called Wildlife Island judging by the number and variety of animals that call it home. Were we to ascribe it a metaphor, it would be an Australian Ark sailing on the Southern Ocean. 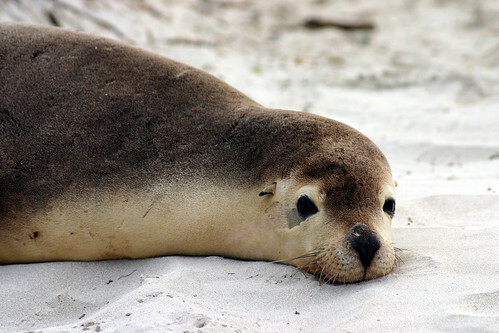 So, wildlife spotting is the main reason to come – kangaroos, wallabies, koalas, sea lions, seals, dolphins, echidna, platypus, goanna, penguins and birds simply too many to list. The best way to spot them is on a guided safari, travelling with someone who can show you how to spot the branch-clinging koala that spends most of its life fast asleep. Prolific wildlife doesn’t exist in drab landscapes, and Kangaroo Island is no exception – rolling hills undulate across the entire 155km length and 55km breadth of the island; miles and miles and miles of pristine sandy beaches fringe the coastline (540km to be precise) and stunning geological formations at Remarkable Rocks, hewn by the elements, stand tall, proud and defiant. 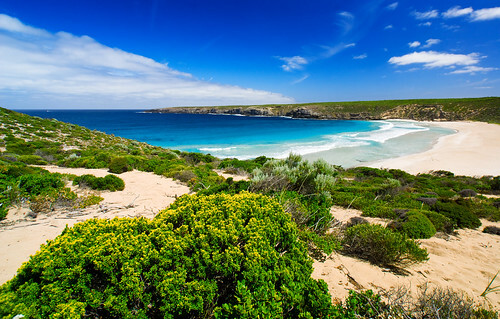 All of which makes Kangaroo Island perfectly suited to a honeymoon of lazing on the beach, epic backdrops and exploration. Photo opportunities aplenty! 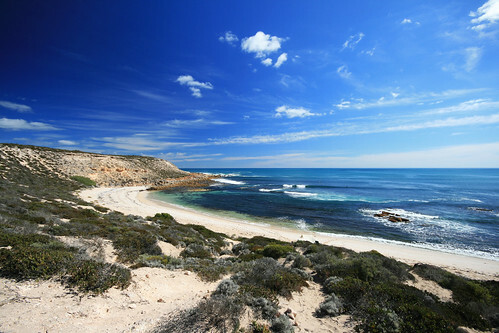 Hands up who’s heard of the Eyre Peninsula. Don’t worry if you haven’t, many Australians haven’t either. Heaven knows why, as this is a stunning pocket of natural beauty. Though using the word pocket might be misleading – it’s the same size as Tasmania, with a 2,000km coastline. Surprisingly, despite its increasing reputation as the place to see the Big Aquatic Five – whales, dolphins, sharks, tuna and seals – it’s also a great place to see Australia’s better-known favourites: koalas and kangaroos. A trip to Coffin Bay National Park yields more dozing marsupials than you could shake a digital camera at. We can’t really decide which we prefer though – the coastal playground that entices with the lure of swimming with playful sea lions and dolphins, or the adrenalin rush of cage shark diving; the call of the outback, with its sweeping vistas, or the ghostly whiteness of the dry salt lakes stretching as far as the eye can see. Opals, fossils, star gazing and an underground hotel – just some of the more unusual things to discover in this most ancient of Australian landscapes. And for those who thought that Uluru (Ayers Rock) is the only outstanding geological formation in Central Australia, think again – Wilpena Pound is an unsung, 640 million year old wonder of the world. 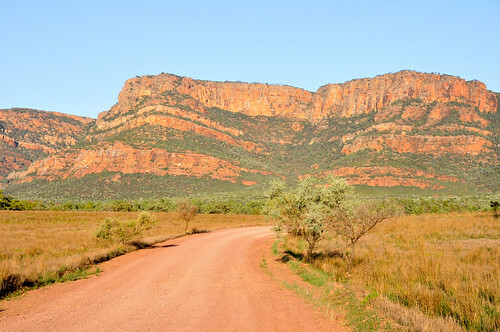 Wilpena, meaning ‘open palm’ in the local Aboriginal language, is a natural basin made up of sandstone open for exploration; whether it be floating over its edges in a hot air balloon at sunrise or striding across its surface in the afternoon. But for real novelty on a honeymoon in South Australia, how about a hotel that offers underground rooms? Coober Pedy’s Desert Cave Hotel does just that in an area so hot in summer that the area’s opal miners took to underground living. Aboveground pastimes are no less quirky, like the outdoor deckchair cinema that was showing, appropriately enough, Priscilla Queen of the Desert when we were last there. But for star chasers of another kind, the Flinders Ranges is a wondrous place in which to lift your head up to the heavens and be in awe. Arkaroola is home to the southern hemisphere’s largest private telescope and it’s understandable why. Miles and miles of unpolluted, cloudless night skies to gaze upon, an experience that can only be trumped by star-gazing from inside a swag (Aussie sleeping bag) for two. Based in Adelaide, the vibrant capital of South Australia, the South Australian Tourism Commission works to spread the word of South Australia’s long summers, stunning beaches and award-winning wine, events and festivals. 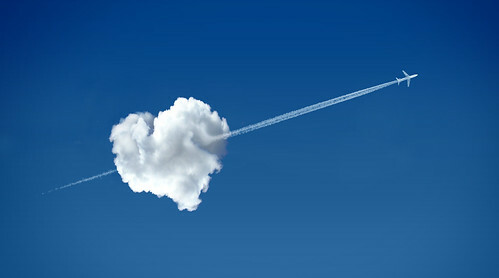 Visit the South Australia Tourism Commission’s website for more information on honeymoons in South Australia. To find out how you can SAVE up to £1,300pp on your own South Australian honeymoon or holiday ‘off the beaten track’, view Flight Centre’s South Australia flight and holiday deals on our website.